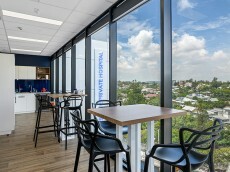 Westside Private Hospital is a newly built 12-story medical facility of approximately 3,000 sqm located in the highly affluent western suburbs of Taringa, Queensland. 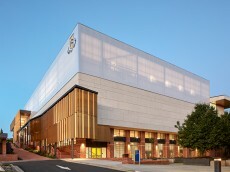 Westside Private Hospital is the largest of the seven-medical facilities in Australia by Montserrat Day Hospitals. 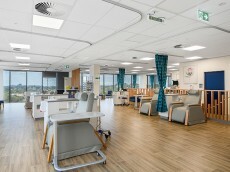 The facility will now bring a new lease of life with advanced medical services for the growing community of the Western Suburbs as it looks to aid and assist in taking over the existing services of Indooroopilly Day Hospital as the central hub of health care services for patients in Brisbane. 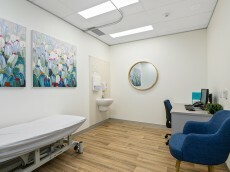 The Westside Private Hospital is state-of-the-art, new aged development designed with a private hospital, surgery centre, boutique hotel, and multiple residences housed under the one roof. The project saw both DMA Engineers and Versalux work together and develop a tailored lighting solution that fully met the client’s brief. 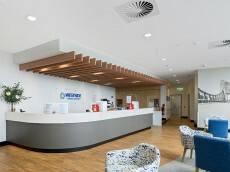 Together both parties worked to construct an innovative look and feel for the largest multi-level healthcare organisation. 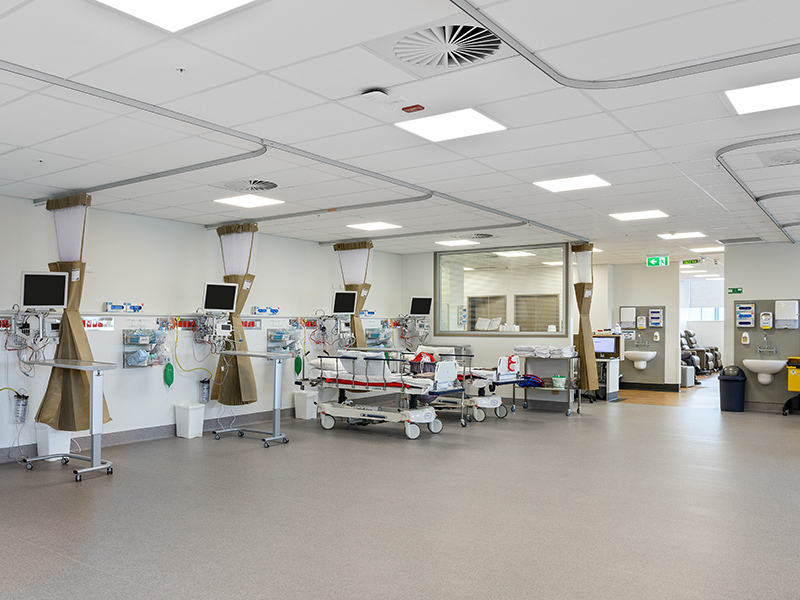 The lighting solution within features throughout the reception areas, examination rooms, corridors, operating theatres, patient wards, emergency operation areas, waiting areas, lounges, and kitchens. The design takes into consideration the stringent requirements of both medical and surgical needs whilst ensuring a welcoming modern and controlled ambience through lighting to improve patient, visitor, and worker’s moods and well-being. 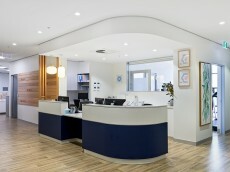 The COMO appears in the reception area of the hospital. 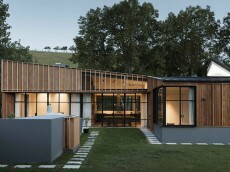 This premium commercial downlight was chosen for its minimalistic design and high performance. The COMO provides full coverage of the reception effectively with its multi-facet reflector design that delivers high illumination levels and an inviting impression to those performing simple visual tasks across work and movement sectors of the hospital. The ICON singular luminaires feature inside each of the patient’s wards; the fixtures are T-bar recessed using opalescent optics to give each room a sleek look and produces superb vertical illumination, as a home-like well-balanced environment to assist in patient’s recovery. The directional light of the ICON allows patients to freely interact in the space without the discomfort from glare or light reflection. 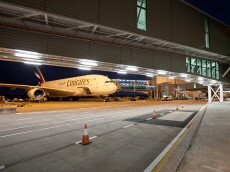 Corridor areas are illuminated with ICON luminaires in a continuous run, to provide safe illumination for night and day movement between the facilities spaces. The ASTI is a low-profile LED panel luminaire, known for its wide range of technological capabilities with its premium performance and appealing contemporary design. The ASTI has been designed in two different configurations for the operating theatres, patient rooms, and emergency rooms. 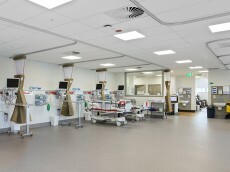 The operating theatres and patient rooms in 1200 x 300 configuration and emergency rooms for 600 x 600 configuration with high Colour Rendering Index (CRI), Cyanosis Observation Compliant LED chips, DALI dimmability for full flexibility and control. Additionally, the ASTI luminaires are IP54 rated, carefully constructed to protect against the collection of dust whilst minimal cleaning and maintenance is required. 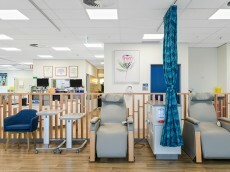 Waiting and lounge areas feature the ASTI in 600 x 600 configuration installed for optimal lighting as a place of communication where medical professionals and patients can interact in a soothing and comfortable setting.